Has aggressive treatment changed the course of Rheumatoid Arthritis? A study in the Netherlands reported in 2005 has been quoted dozens of times as evidence that the course of Rheumatoid Arthritis is improving with better medical treatment. About 525 patients were followed. Researchers considered ESR (erythrocyte sedimentation rate), Rheumatoid factor, and joint counts. First, I am surprised that I haven’t read any articles which question the reason for the supposedly milder disease. Even the original study acknowledges factors which could make a difference such as changed practices for referral to a rheumatologist or changed criteria to be treated with disease modifying drugs (DMARDs) or environmental impact. Since the measures of the disease used in the Netherlands study can be improved by the use of anti-inflammatories, I have wondered about the effect of the extensive use of NSAIDs in recent decades. They don’t make the disease milder, but they make it appear that way to clinicians. Good grief – back in 1961, Jonsson wrote that it was probably impossible to observe a “natural state” of Rheumatoid Arthritis because of the wide availability of aspirin. How much more is this true now with ibuprophen and naproxen and other powerful over the counter NSAIDs? And what about steroids prescribed by general practitioners before a rheumatologist lays eyes on a patient? Second, I haven’t seen any discussion of the very last paragraph of the report. “However, this trend is not evidenced by the patient-assessed measures of disease activity or functional disability, and based on these measures may even appear to be the opposite.” That is not in the abstract. It is not often quoted. What does that mean? I looked at the charts attached to the original study. It looks like those same patients assess their disease as worse at the same time they are reported as better. As a patient, I want to hear an explanation of that. As a blogger, I have hunches. As an optimist, I hope some researcher somewhere is curious, too. I am a poster girl for early, agressive treatment: my diagnosis occurred within 3 weeks of becoming symptomatic, and DMARD treatment started in 3.5 weeks. Early intervention works, but I think that my being completely sero-negative had something to do with it. My RA is considered to be under excellent control: very low ESR and CRP; all normal blood tests, including liver function. Why oh why do I feel completely wiped out some days, wanting to stay in bed? Is there anything to take away the bone-gnawing exhaustion? Out of curiosity I would ask, why was this study done in the Netherlands? The US has one of the best ( yes, our healthcare system has flaws, you will find flaws with every health care system around the globe) health care systems in the world, why are we not conducting a study of the way RA is being treated here? Personally, I don’t buy it, the disease is not getting milder, the meds are only masking pain and symptoms. Let me tell you what I know: In order to understand this journal better, I’ll explain the workings of the DAS score. Every 3 months Dutch RA patients are scored by the so called DAS (Disease Activity Score). This is comprised of blood work (BSE and CRP), a physical exam (all joints in hands and feet, wrists, elbows, ankles) and the patients’ assessment of their own disease activity on a scale. Add these up and you get a DAS, on a scale from 1 (low activity) to 10 (bedridden). It’s a good tool to manage your disease over an extended period of time, it enables you to form a trend and help determine what might be the cause of any flare. I am in two minds about this method, it has definitely helped me, but I think it is too limiting; it does not take into account my shoulders and knees which trouble me most and does not specifically address fatigue ( you factor it into your general assessment). And it only scores a moment, it does not reflect how bad you felt last week. Which brings me to your 2nd question about the study. The DAS will tell me that MEDICALLY I am doing ok; my joints are not inflamed, my blood work looks great. But I may not FEEL great, due to pain and fatigue, a difficult distinction to accept, because as you rightly pointed out it seems contradictory. But they are taking it into account and are re-modelling the DAS to include more factors. As for your first question, you may have noticed this journal is five years old. 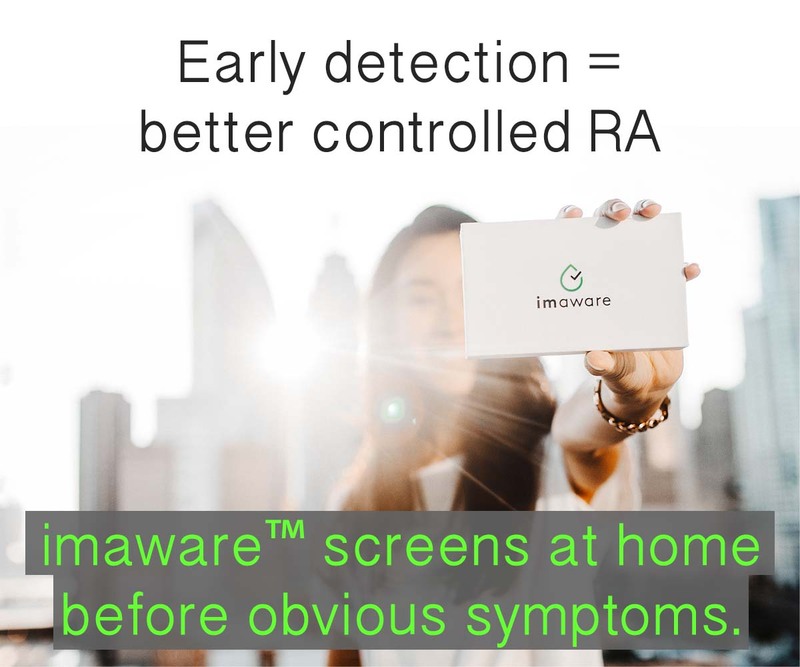 Research has continued into treating early RA aggressively, which has meant that a larger population has been targeted, making the scientific basis a lot stronger. The results are still the same, in fact this thesis has been adopted by the international arthritis community, which is most evident from the work of EULAR (The European League Against Rheumatism). There are a lot of great abstracts to read. Hope this puts this piece in a new perspective. Have a great day! Based on that last paragraph, the conclusions of the rest of the study appear questionable. As you and Terry both said, the drugs used today often do mask the symptoms of RA to some degree in some people, though certainly not all. That study seems useless to me, unless it was done solely to help the pharmacological companies look good. I certainly don’t consider it conclusive or accurate. What a waste of time. I know personally I can totally understand how this is possible. When I look at the treatment back when I was first diagnosed in 1992, there wasn’t much hope and certainty of disability because of systemic degradation. Now, there are drugs that help minimize that degradation so there is a potential for less damage, not that it happens for everyone. For me, I can’t reverse the damage that has been done but the bios are helping to keep any additional damage from occurring or keeps the damage that does occur to a dull roar so to speak. That being said, I don’t, however, believe that the disease itself is becoming milder. We are just treating it better (realizing not everyone is in this category though). It definitely would be interesting if someone here in the U.S. would do a study on this…..However it probably isn’t economical or high-profile enough for someone to waste their time on. Yeh, I know….Bitter much??? lol. “Milder” seems to be the word that’s stirring up emotions. It may have been chosen for lack of a better word. There is a reason that the year 1985 is mentioned several times in this paper. Pre 1985 statistically more patients ended up in wheelchairs or were bedridden. Since this date early RA has been treated increasingly more aggressive in the Netherlands, with the result that less patients are severely crippled by the disease. Obviously these patients are still limited in every aspect of their lives, but compared to pre 1985 the onset of the disease is “milder”. We must not forget this is a scientifically based paper published in a renowned medical journal. It deals with fact and scientific data. How we experience and live with RA is very hard to quantify, which is why papers like these only deal with aspects of this disease that can be statistically analyzed. So it’s obvious that patients who read this paper will not like part of the content. I find myself quite annoyed by some of the comments here and some of the things said by Kelly. The Netherlands leads the world in arthritis research, a lot of great work has been and is being done to fight this disease. In fact the mission statement of Dutch Arthritis Foundation that funds a lot of this research is quite bold: “Rid the world of this dreaded disease.” We are all benefitting from this research. This paper is an extract and is written in a certain medical, historical and socio economical context of a country you do not understand. Which puts the last paragraph in a different perspective, but that not seem to stop some of you to jump to certain erroneous conclusions. The people who wrote this paper and papers like these work tirelessly to fight arthritis, to help us alleviate our suffering. They deserver to be treated with respect and they deserve our gratitude. I wish my RA was “milder” than it was before. I value the personal opinions of all the responders on your site Kelly. Each one of us on here are the owners of a nasty disease that knows no boundaries. I feel it is disrespectful to come onto this site or any other site and tell anyone how they should feel or respond to the content herein. Each one of us in the USA and many other countries have the right to voice our own opinion. My opinion may not rub every single person the right way, but I have a right to state it. It is the responsibility of others to tolerate my opinion even though they may not agree with it. Bashing someone else opinions or telling someone how they should feel about an article is plain poor judgment and lacking in maturity. 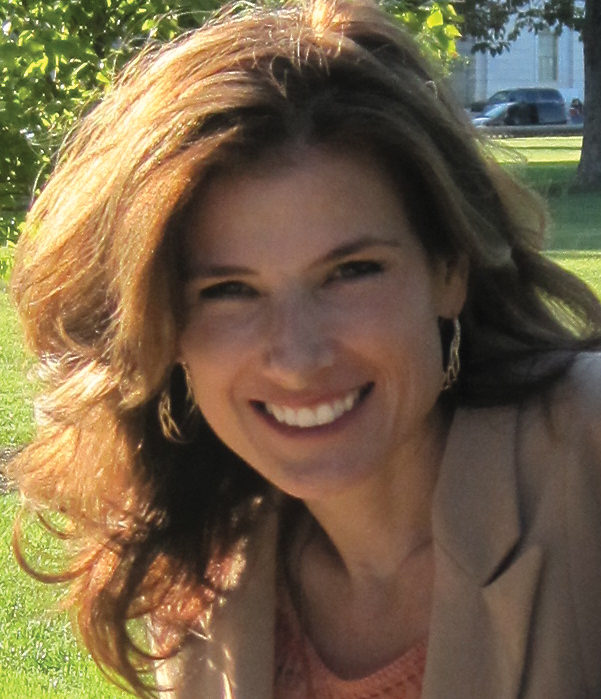 I am grateful for your blog with its wealth of information and insight Kelly. I only wish that ALL responders to your blog could be tolerate of you and everyone else. I have to mainly agree with Dad with RA that a huge amount of research has come out of the Netherlands on RA – more than I’ve ever seen out of the US. And Thar, I’ve probably seen a US article or two stating the same conclusion, that on the whole/big picture, it is getting milder in that they are not seeing as many severly disabled in wheelchairs, nor are they seeing as many cases with serious EXTRA-articular manifestations such as severe vasculitis, heart or lung disease. I take it to mean that the newer meds starting with MTX and later ARE S-L-O-W-I-N-G the joint damage down, and perhaps preventing those nastier extra-articular manifestations in many cases. I agree with everyone else that it’s STILL NOT ENOUGH as we are still side-lined in our daily lives from pain and fatigue that makes us give up our social lives and living life to its fullest, even if many of us are still able to just-barely scrape enough energy together to work still. Given that we are still side-lined to a considerable degree, it’s hard to remember to remind ourselves to be greatful that it’s not worse – but that doesn’t invalidate how badly we still feel. And we are all, patients, doctors, and outsiders alike, still prone to jumping to conclusions without stopping to take the time to consider everything. It’s human nature. At least we do have sites like this where we can vent our frustrations that are still real AND significant. See this paper done by a US and a Swiss researcher in 2006. I’m sure there are probably some more recent ones to find. Several studies have suggested that severity of rheumatoid arthritis has decreased over the past decades. In particular, progression of radiographic joint damage seems to have declined over time, but it is not clear whether the disease itself has become milder or whether antirheumatic treatments have become more effective. This study attempted to analyse the direct causal effect of time of diagnosis on disease progression, to examine the hypothesis of a secular trend towards a milder disease. The crude analysis of both radiographic joint damage and functional disability confirms a significant trend towards milder disease in recent decades. However, after controlling for differences in antirheumatic treatment regimens, the trend for milder disease over time disappears, both for radiographic joint damage and for functional disability. This suggests that the observed trend towards milder disease in rheumatoid arthritis is largely attributable to more effective antirheumatic treatment and not to a secular trend towards milder disease. See also this paper from Spain. I suppose that we are all allowed the freedom to express our emotions here thanks to Kelly… even annoyance! I personally think that it’ hard for us to think of things being “milder” when we experience such painful symptoms on a daily basis. especially when for some of us over time these symptoms get worse not “milder” even with meds. So Thanks Kelly for allowing us a forum to express our not so “mild” emotions regardless of what studies say we are supposed to be feeling or experiencing! I suppose it is all a matter of perspective, hmmm? It has been 5 days and I’ve not yet commented on this blog. I’m catching up on replies today. This post was the first in a week of blogs on a theme, ending with Friday’s post: Would Relying on Patient Generated Data Make a Difference? which highlights the work of Dr. Ethan Basch about the discrepencies between patient’s testimony about their symptoms and clinicians’ interpretation of that data. Dr. Basch has found that the clinicians’ determination of symptoms is “less” than that of patients in every way he studied it. I found the study in this post a few months ago because I found it cited several times. I went to read the original because I thought it was worth a look since it has been relied on heavily by other writers. As you may guess by my subsequent posts, I stand by this one. I did not state nor imply that the study was invalid or that it’s conclusions are wrong. Ironically, I am occasionally accused of being too much of an advocate for the assumption that Biologics tend to lessen the severity of RA disease or slow damage. Sometimes, I’m portrayed as the poster child for that view. What I do here in a blog is report facts and raise questions that I find relevant as a patient. Unlike other bloggers whom I’ve seen, I do not delete comments which challenge my statements. 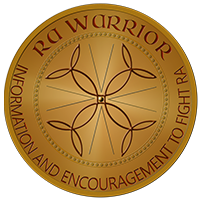 Instead, I attempt to continue the conversation with more blogs and further research and more questions that I hope will lead to more answers and help for those with RA. There is much more I could say about the specific topics of the post. There is a post that I’ve long planned about the first question I raised here & the 2nd one was covered by the Dr. Basch post. There are still many unanswered questions about RA & the ways that it is measured. It would be beyond the scope of this post to examine and explicate every aspect of that. I did not claim to have done that. I cannot see where I have denigrated either a country or its scientists. Scientists ask questions & patients should too.